29.11.07 - Matthew Hurley: As the World Boxing Council welterweight showdown between Ricky Hatton and Floyd Mayweather fast approaches an interested observer, Oscar De La Hoya, has been whispering in the challenger’s ear. De La Hoya, whose Golden Boy Promotions is promoting the bout, has picked Hatton to beat Mayweather. This, of course, must be taken with a grain of salt considering that Oscar is still looking for a marquee opponent to take on in 2008 and a fight with Hatton would be a mega event. Mayweather, incensed, called his confidant Leonard Ellerbee and told him to make the fight. Before the ink on the contracts had dried HBO jumped into the mix with its 24/7 documentary series, which had debuted with the De La Hoya – Mayweather fight. Hatton found himself playing Oscar’s role of the good guy versus bad guy Mayweather. Now De La Hoya, his promotional instincts sensing a Hatton victory would certainly benefit his career, is pulling for the underdog. 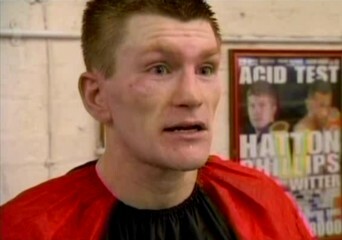 Hatton, now in Vegas, is winding down his preparations for the December 8th fight. Trainer Billy Graham believes he is peaking at just the right time. The betting odds on the fight are now at, Floyd Mayweather –240 and Ricky Hatton at +190.